I’m working on a hand sewn 4 block cathedral window sample for the class I’m teaching at HelloStitch on June 10. 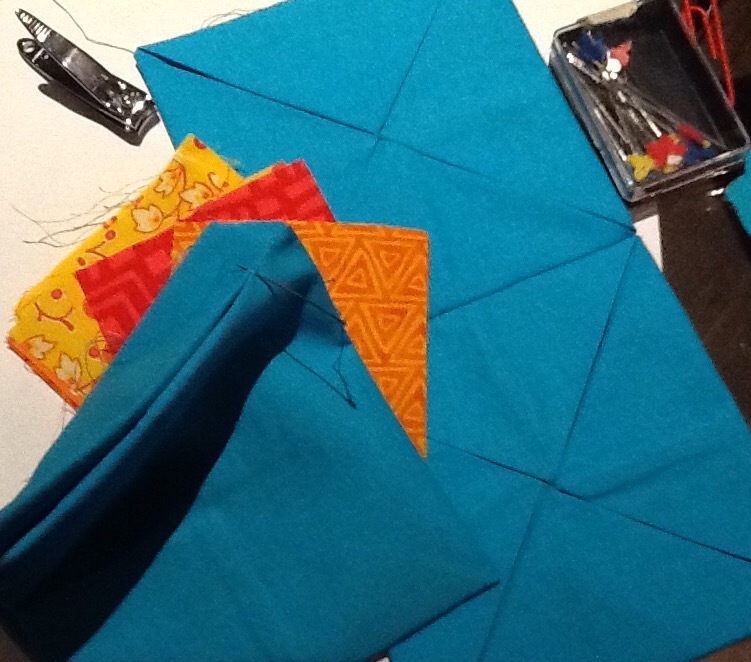 In this photo I’m sewing 2 of the blocks together with a tight whip stitch. The nail clippers are because I’m on a trip, and I’ve had my sewing scissors confiscated in the past. This is a small, very doable project for traveling. The orange and yellow squares are to insert into the window between the blocks. This entry was posted in Cathedral window quilts, Work In Progress and tagged cathedral window block, cathedral window quilt. Bookmark the permalink.